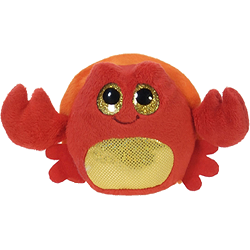 Snappy, this adorable plush crab from the Fiesta Lubby Cubbies collection, is ready to spark hours of imaginative play and adventure. 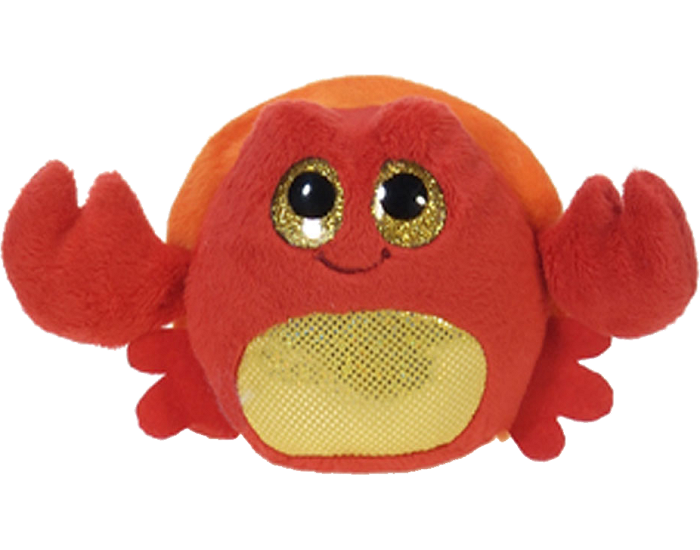 With soft red fur, sparkly yellow tummy, and orange shell, this crab stuffed animal has fun floppy claws and a sweet smiling face with big, tear-drop shaped, sparkly yellow eyes that will melt your heart. This adorable stuffed blue crab is soft and cuddly, ready for hours of fun and imaginative adventure. This adorable Crab Charm is a 3-dimensional delight featuring pink enamel stars on a radiant red body. Frilly is an adorable plush jelly fish with soft purple fur, curly turquoise tentacles, and sparkly turquoise eyes. Dizzy, is an adorable plush blue tang fish with soft royal blue fur, and embroidered smile, and sparkly golden eyes. Tootsie, is an adorable plush octopus with soft and vibrant orange fur and an underbelly of shiny blue and silver.